My little princess seems to master messy hair very well. 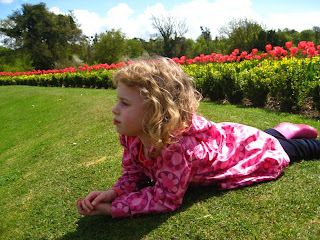 She has curls (thankfully not as curly as mine) but it's very fine and fly away. It seems to knot so easily and trying to get a brush to her hair involves screaming sessions and ouches that you didn't know could ouch so at the weekend we just let her leave the house extra messy and don't brush it. But with school each morning and having to tie her hair up I got fed up with the arguments and took her to Boots. Where upon she fell in love with the tangle teezer. We tried this out in Hamleys a few years back, the lady back combed Princess C's hair and then brushed it out with not a whimper. I was sceptical she had very little hair then and always behaves like an angel to strangers so didn't stump up the cash. 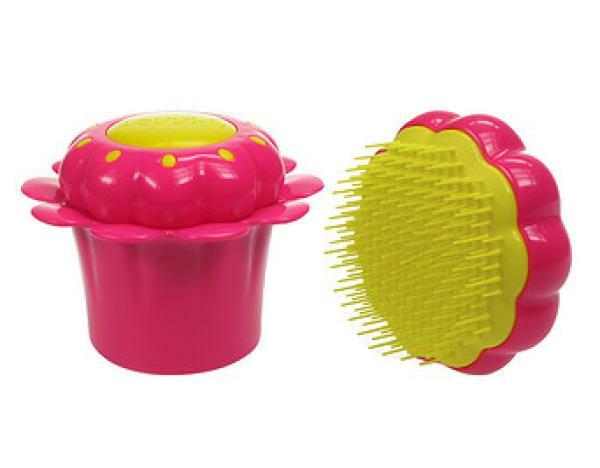 But following this a few friends at work happened to say they wanted a good hairbrush as their hair knots easily, I directed them to the tangle teezer and they haven't looked back. So there we were in Boots and her eyes went straight to a pink flower pot tangle teezer that involved parting with more money than I really wanted but hey lets give it a go. Well its working and she's even brushing her own hair. 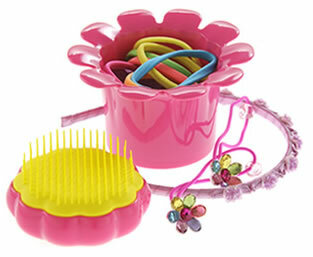 Its the perfect shape for smaller hands to hold and it nestles in the little pot below that can keep a selection of clips and hair bands in. She loves it and has told everyone about it and we now have no tears. We have brushed wet and dry hair and combined it with anti-tangle spray for an extra breezy brush. So maybe I shouldn't have been so sceptical 2 years ago when we were in Hamleys and it would have saved us 2 years of tears!